Call ABC Tool & Die to get the job done! Our staff can take your project from conception to delivery. 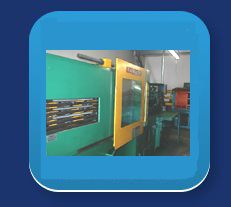 Using state-of-the-art precision machining techniques, our machininsts ensure the finished product meets and exceeds your exacting specifications. We will work with you to make sure you get the part you need to get the job done, at reasonable costs and with prompt delivery. You can expect precision quality control at ABC - from design through each step of the machining process your job, we pride ourselves on having the solution.